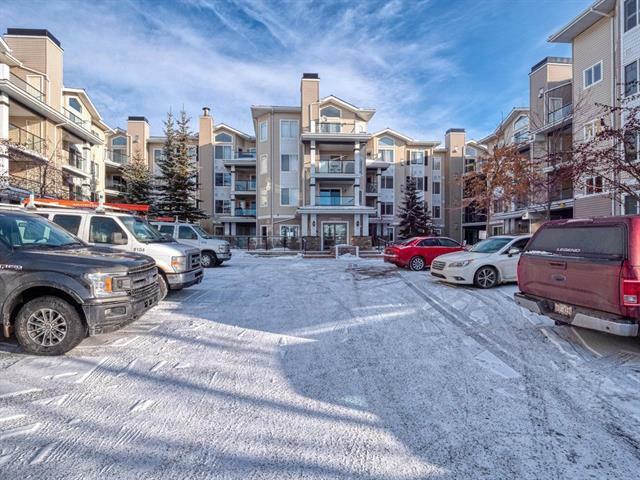 Fantastic 2 bedroom, 2 bath unit that backs onto greenspace - located in the prestigious Pavilions of Rocky Ridge. 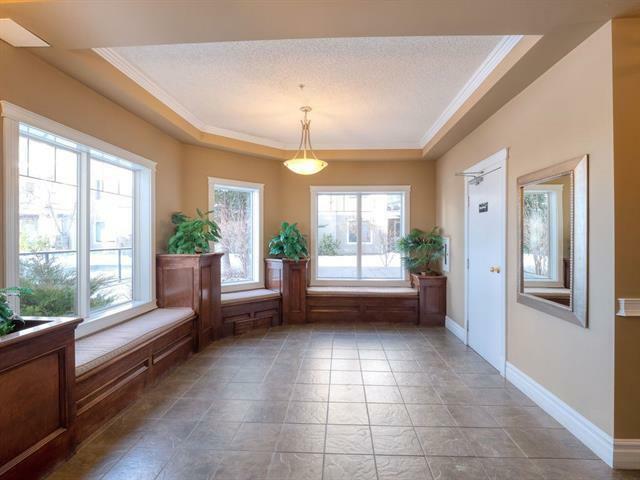 This immaculate open concept unit features a large living room with a stunning stone faced corner gas fireplace, in-suite laundry with a stacking washer/dryer, 2 good sized bedrooms including a large master suite with a great 3pc ensuite and a large walkin closet, a covered deck with a storage room and a great kitchen.New carpets! 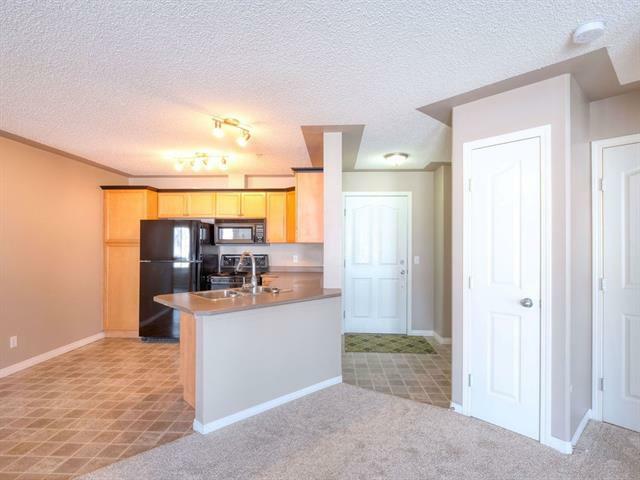 The kitchen is appointed with maple cabinetry, upgraded black Whirlpool appliances including a microwave hoodfan, plenty of counter space and more. This unit also comes with one titled underground parking stall. The on-site amenities in this complex include a fitness center, activity room, games room, movie theater, hair salon and plenty of visitor parking. 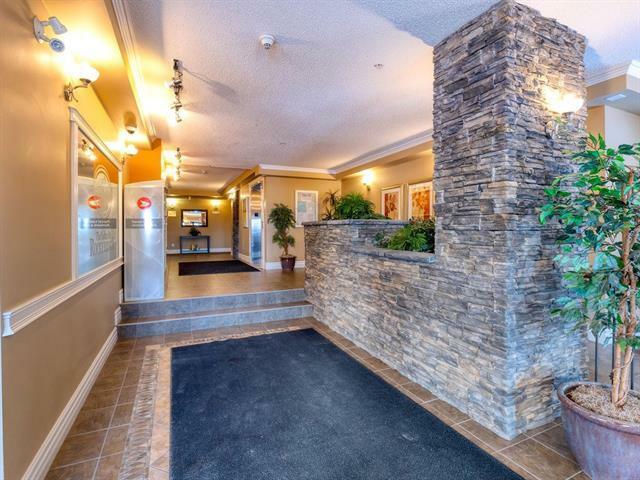 This unit is close to shopping and transit and will be within walking distance to the Rocky Ridge / Royal Oak C-Train station. Exceptional Value!